In this article, we will learn how to execute a PostgreSQL function and Stored procedure in Python. PostgreSQL function and the Stored procedure can perform different operations it can be data manipulation or data retrieval. 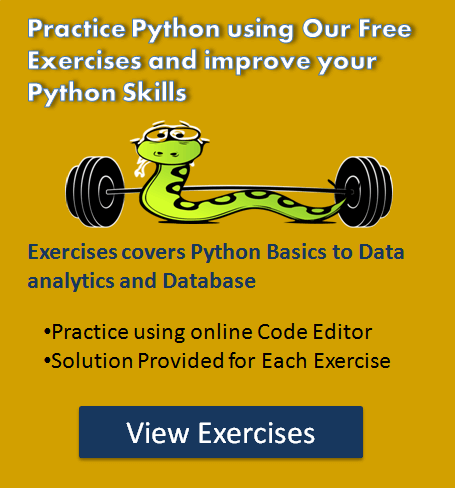 We will see how to execute such functions from Python. 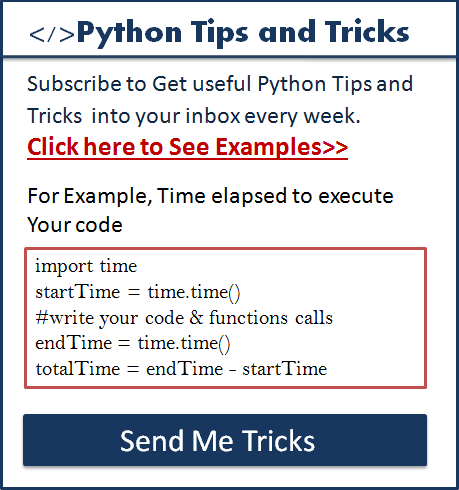 This article is part of series Python PostgreSQL Tutorial. Username and password that you need to connect PostgreSQL. PostgreSQL database Stored procedure or function name which you want to execute. For this article, I have created a function get_production_Deployment in PostgreSQL which returns a list of employee records who deployed code changes in the production environment. Now, Let see how to execute it. We are using a psycopg2 module to execute the PostgreSQL function in Python. 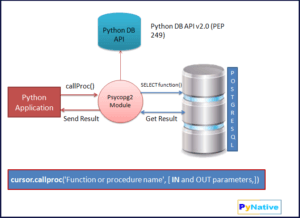 Follow these simple steps to call PostgreSQL function and stored procedure from python using psycopg2. Import psycopg2 in your Python file and Create a PostgreSQL database connection. The connect() method will returns a new connection object. Using that connection, we can communicate with the database. Create the Cursor object using the PostgreSQL connection object. Using a cursor object, we can execute database queries. Execute the stored procedure or function using a cursor.callproc() method. (Here you must know the stored procedure name and its IN and OUT parameters). The syntax of the callproc method. IN and OUT parameters must be separated by commas. Process The result returned by the callproc(). It may be database rows or just an affected row count. Alternatively, it can be anything as per the implementation of the function. Catch any SQL exceptions that may occur during this process. Close the cursor object and PostgreSQL database connection. Let see the demo now. We already created the stored procedure “get_production_Deployment” which accept application id as an IN parameter and returning its employee id, employee name, and designation as the OUT parameters. As you can see we processed the result returned by a stored procedure (i.e., cursor.callproc() ) using the fetchone(). We can also use fetchone(), fetchall(), or fetchmany() method depending on the return value from a function or a stored procedure. What about named stored procedure arguments instead of sequential? query = """\EXEC procedureName @param1=?, @param2=?"""